My professional life is dominated by parking these days. I often get asked, why parking? It strikes many people as an odd thing to focus on. One cute answer is Donald Shoup's quip that he likes to focus on the 95% of the time cars spend parked not the 5% they spend moving. But let's be serious. Why DO I work on parking policy? What motivates all this effort? Here are some thoughts. This is where my primary school used to be. Now it is parking for a regional shopping centre (Westfield Marion and a Bunnings hardware store in the middle southern suburbs of Adelaide, South Australia). It is not a business or career thing. I do indeed now offer consultancy services on parking policy! But making a living was not my motivation to get involved when I was a full-time academic. Even now, when consulting is part of my livelihood, doing business is not what gets me up in the morning. So what does drive my obsession with parking? I think I started with dismay with the way parking policy is done now and about the scale and seriousness of its impacts, which are much greater than I had realized. But it was HOPE that really got me moving. Dismay wasn't enough. I have been working on policy reform in urban transport for a long time. But parking always seemed too depressing, with reform having little chance politically. But in 2007 or so, things changed. After reading Donald Shoup and Todd Litman on parking, I began to get involved in the issue and quickly became much more optimistic. Living in Singapore helped too perhaps. Its unusual transport policies expanded the range of what seemed possible, allowing me to think more boldly. More on my hope-related motivations below. But first, let's take a closer look at my DISMAY over parking policy. An obvious motivation is the almost unbelievable wrongness of conventional parking policy, all over the world. The appalling amount of parking-related waste and unfairness makes me angry and a little sad. Surely we can do better! Read Sightline's ongoing series on parking for an entertaining romp through the ludicrous, unjust and costly extremes of North American parking policy. 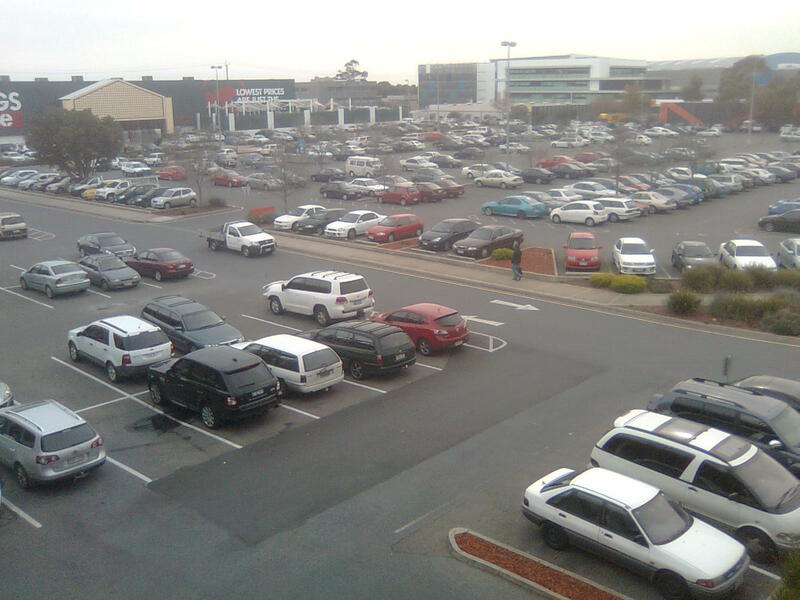 Parking problems are both serious and acute in too many places. Communities everywhere want help to deal with all that mayhem. Parking is vexing for motorists and for people moving by other means. But the usual answer, the conventional approach, doesn't help much and just feeds the car-dependence beast. It creates new ills, chronic ones, that are worse than the original acute disease. There is a desperate need for parking policies that solve the acute problems. But we are asking for trouble unless these short-term fixes also point towards sustainable longer-term solutions. The world's stock of urban fabric is expanding like fury (especially across Asia) but business-as-usual parking policy for all that new building would be a disaster. Excessive minimum parking requirements for all that new development will be incredibly wasteful and destructive if past experience is any guide. Failing to do better than that would be a huge missed opportunity. But reform needs to come quickly. Otherwise, conventional parking policy will create traffic disasters in ever more emerging cities and doom them to either auto-dependence or traffic saturation. Parking policy debates are full of confusion. Such as the idea that parking reform is a "war on cars" or that reforming parking minimums always means imposing restrictions on parking or that parking is a public good. I am not sneering here. Parking policy is indeed often deeply confusing. A key cause of confusion is that there are several completely different mindsets on parking out there, each with its own assumptions. So a lot of parking discussions flounder with each side baffled. These reasons for dismay are striking. But they are not motivating enough. They are depressing. To muster enthusiasm for the issue I needed some reassurance that we could really do better. I needed HOPE! I would not be doing this without my optimism that parking reform is helping and that it has huge potential. So let's look at my hopes about parking policy. Parking reform offers enormous scope for improvement, which should yield large benefits. This is the first dismay motivation above turned on its head. When current practice is so dramatically unfair and wasteful, surely the rewards from reform will be large. This hope lets me redirect my anger into action. 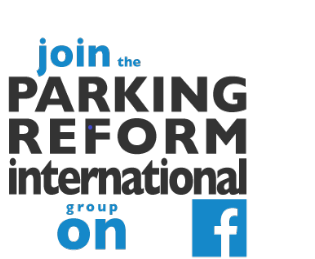 Walter Hook of ITDP has called parking reform ITDP's highest priority at the moment and the next big thing in the struggle for socially equitable and sustainable transport. Parking reform offers hope for easing existing automobile dependence. It won't be easy, I know. In countries with car-oriented planning, even where communities want wider mobility options, the conventional approach to parking policy often stands in the way. It is a key pillar that reinforces automobile dependence, and is politically resilient, despite being based on the fear of a minor, preventable problem (spillover). But a movement for suburban retrofitting is building. And I see signs that parking reform will be an important part of the process of 'melting' the car-dependence of suburban centres of activity. I am hopeful that ideas like Adaptive Parking can play some role. It is slow, frustratingly slow. It might even seem boring to anyone not already interested in parking. But change, maybe momentous change, seems to be coming. Technological change, much hard-won experience with parking management, and an upsurge in enthusiasm and interest are opening up new opportunities. One stream of parking reform energy has been inspired by the work of Donald Shoup. 'Shoupista' ideas are emerging all over the place. My effort, Adaptive Parking, is also an example. A wave of parking reform seems to be gathering momentum and not just in rich, western countries. Some, such as Brazil or Malaysia, are steeped in conventional parking policy. But numerous newly motorizing cities, such as many in China and India, have not yet jacked up their parking requirements to ridiculous levels. They have a great chance now to shift away from that path. The key will be improved on-street parking management. Mexico City's efforts in the Polanco district (with ITDP help) are an excellent example with lessons for cities everywhere. Slowly, the parking policy choices are getting clearer. This is the optimistic twin of the confusion motivation mentioned above. It is difficult to debate the merits of policy through the fog. If you really want parking policies I disagree with, go ahead, but choose them for good reasons (even if I disagree with them) and not out of misunderstandings or muddled thinking. Fortunately, I think the fog of confusion is slowly being blown away, enough to make some progress at least. The message is slowly getting out that the conventional approach, based on cheap parking and high parking minimum requirements, is not the only option. More now understand that there is a range of options. A shift away from conventional parking policy does not necessarily mean you have to use parking to squeeze car traffic. Reform does not have to wait for excellent mass transit. Reform can be about reclaiming a wider range of mobility and development options, many of which have been cut off by conventional parking regulations. We should be able to actively choose the cities we want, rather than being stuck in a rut because of rigid regulations and muddled fears. This is one of the ideas behind Adaptive Parking. It is about getting the parking policy choice architecture right. Are you keen on parking reform? Tell us YOUR motivations! Paul's lectures at NUS introduced me to parking policy, inspiring me to explore urban land-use planning in greater depth. Now I believe that getting parking policy 'right' is integral to the basic functioning of cities: serving as melting pots for diversely talented / creative people to interact and form economically beneficial partnerships. This is what makes great historical cities like London, Paris and New York stand-out. Only wish more scholars thought this way! This is the good article regarding parking and image says about this clearly and the blog contents are really nice and good to know about this supervise. and thank for sharing here with us. And we too do the parking management systems, and below the link,you can search our products.